Joey is rushing home after work on a Thursday. The babysitter is coming at 7pm, and she will need some dinner too. Joey and her husband were supposed to catch a 7:45pm movie and they had agreed to grab a bite before the movie. But now, it’s looking like it’ll be best if Joey just order delivery for everyone. If she puts in an order now, the food, the babysitter, her, and her husband will all arrive at the house around the same time. Everyone will have some food in their stomach before the evening comes. While waiting for her train, Joey enters her phone number, email address, and home address and orders food from her corner diner restaurant. What dish will the app recommend for this hectic evening, having no information of Joey’s prior food ordering history, nor her personal associations? There are two areas where AI can be leveraged when it comes to the food and restaurant industry; essentially, AI can assist customers choose food items and then reduce the time and cost for the transport of those food items. For example, our protagonist Joey, she is about to complete her profile for a food delivery app she just signed up for. Without prior ordering history, the AI system, like a virtual assistant, can give Joey recommendations based on an aggregate of customer profiles that resemble Joey’s, as well as the when and where of Joey’s purchase. The advantage of using AI here is that once there are tens of thousands of consumer interactions, the system can gather insights and patterns to determine recommendations that “work” (given high take-rate to purchase, or high cart value) and those that don’t. Another area where AI can be a game-changer when it comes to food and restaurant is logistics. Logistics is not just about delivery drones and robotic vehicles. Automation enabled by advanced algorithms have the potential to greatly cut delivery cost, through resolving communication inefficiencies at all stages of a delivery. In the delivery of fresh or hot food, customers expect to be notified and kept update with regards to their food order, both on the food-making front and on the driver’s front. The more the customer is up to date with his or her order, the lower the possibility of customer dissatisfaction and number of non-delivery, and hence reducing the costs of customer services over all. Bias in A.I. : What Is to Be Blamed? Countless incidents in recent years have prompted heated debates over bias in AI, especially when it comes to facial recognition software. Most of these stories revolve around how AI systems “unbaisely” reflect the worst prejudice and discrimination latent in our society. The industry has gradually worked towards re-training the data models given these the public outcries. But, what is really to be blamed here? All AI systems, large or small, begin with a steam of dataset. There is nothing wrong intrinsically with mining the dataset in order to find correlations and patterns within. The problem occurs when what the data shows and then enacts is counterproductive for the very problem we are trying to tackle with the software. Another step to be taken in order to fix this problem lies in re-examining our own cognitive bias while creating the algorithm and interpreting the data output. Helping Mom-And-Pop Shops Survive Using A.I. When it comes to adopting cutting-edge technologies, local retails may have the upper hand, compared to large companies, which are extremely slow to change. However, this only applies to technologies that have the highest likelihood to enlist broader retail adoption; meaning, the mom-and-pop shops needs to be able to see an immediate, direct, and hard-line return on investing in these new technologies. An example of such a success is the adoption of payment gateway system—think “modern” point-of-sale systems such as PayPal or Square. These systems have leveraged fraud detection algorithms to protect customer transactions. PayPal’s deep learning approach is able to promote transaction security by lowering the average fraud rate by one percentage point, to 0.32%. This translates to a saving of $20K a year for a restaurant that sees $2M in revenue annually, for simply switching to a new gateway system—that’s enough savings for being able to buy a new car every year! The promise of AI in the future of retail is not to be overlooked. With technology such as Pathover’s logistics software, a mom-and-pop shop could reduce delivery costs by 6-10%, through simply switching a logistics vendor. Delivery costs for any order, regardless of the order amount size, can be as high as $20. Using advanced logistics software alone, the costs can be reduced to as low as $4. Given the convenience factor and as the demand for food delivery grows within the Millennial demographics, there are few restaurant ordering and delivery solutions that can compete with Mixbowl, Pathover’s all-in-one ordering and delivery software. AI-powered commerce and logistics software Mixbowl significantly lowers the cost of food delivery for restaurants that makes it an obvious decision for consumers to order directly from restaurants and for restaurants to participate directly in the growing food ordering market. For a restaurant that receives about three hundred online orders monthly, Pathover’s smart software Mixbowl delivers a savings of $56K. That’s enough savings to buy two brand new cars every single year, just by switching to the right delivery partner and software solution! Customers like Joey also sees a lowered, or even waived, delivery fee. The advantage of logistics software is more pronounced for mom-and-pop shops because the savings represent a higher overall percentage of take-home profit, where bottom line is critical to the very survival of their shop. At the end of the day, even though AI is revealing and amplifying some of society’s not-so-shiny biases and worst impulses, the very mechanism has the potential to greatly optimize prices and reduce costs through smart logistics and recommendations that work. 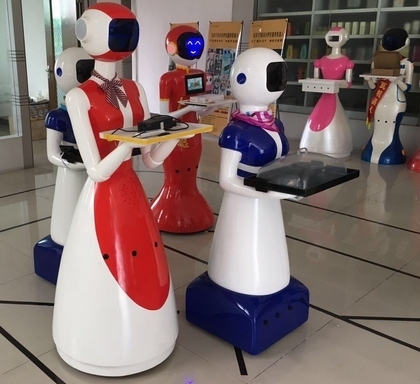 It remains to be seen how would these unresolved issues around AI biases affect mom-and-pop shops that are using AI-powered software. Beyond Apple HomePod. Beyond higher RAM capacity in the new iMac. Beyond the speculation that Apple Watch will be a secondary display for a dexcom glucose monitor. The greatest announcement in Apple’s WWDC keynote is the inclusion of a female CEO and “mummy” as the head of engineering. When Toby Patterson who heads iPad’s software engineering began to demonstrate including a hypothetical app sales projection in his daughter’s assignment, which is about finding an idea for an app, I got excited not because users can now insert inline drawings into a typed note. At frame 116:25, under the “management team” header, Jacqueline (Toby’s daughter) is listed as the CEO and “Mummy” is listed next to Engineering and “Daddy” heads Sales & Marketing. The moment lasted fewer than 20 seconds but in those seconds, I envision a world where women are founders and are leaders in engineering. In that world, female founders and engineers are prevalent. It is the norm. No, it is not about using deep learning technology to recognize handwritings and indexing it in spotlight. The subtle implication of strategically titling these characters (Jacqueline, Mummy, etc) has a far reaching effect on women around the world. It tells a tale of when curiosity of knowledge is encouraged and shared among everyone, men and women. When women read, hear, or meet other members of the tech community that look like them and come from similar circumstances as them, they will add diversity to STEM fields and entrepreneurship. I caught the subtlety in the demonstration because I care about having higher representation of women in tech and in entrepreneurship. Apple used it as an example because it wants me to know that it, too, cares. Last night, I was at an event hosted by a VC firm for the CEOs of its portfolio companies. The men to women ratio there was around 45:1. There were four females at the event in total. Only one of them was CEO. I was alone and it wasn’t a great feeling. I believe that increased female empowerments today will speed the pace of innovation. In a world that Apple and other technology giants are building, we will look back and see that, not so long ago, female founders and engineers seemed all but alone, with STEM fields of study stereotypically assumed to be masculine spaces. But by allowing women see that, yes, they do and can have a seat at the table, the next generation of founders and engineers will continue to better reflect the world that they are seeking to understand. CEO of Pathover. Forever an engineer at heart. The nation’s largest grocery conference took place in Las Vegas from Feb 10-15. Large regional chains and smaller markets around the country have come together in one place to celebrate the contributions they have made to the overall success of the grocery industry. Pathover team met with grocery leaders of the community, retailers and technology solution providers to share best practices and consumer behavior trends based on both analytical data and real world examples. The ability for IGA and NGA members to quickly adapt to the fast-changing grocery landscape to enable extraordinary shopper experiences is the true point of differentiation for these independent grocery retailers. This year’s topic explores the transition of shopper behavior from traditional to digital while continuously delivering exceptional values in the millennial and multigenerational world. Many grocers have already invested in establishing a web presence, and for some, they went so far as to offer online grocery shopping, whether it is for in-store pick up or for home delivery. However, having an e-commerce presence alone is not sufficient to increase online sales volume. Shopping cart abandonment is extremely common in online shopping; understanding why it happens and how to recover these lost shoppers are critical in building a successful online shopping offering. Why Customers Abandon Online Shopping Cart? Even though the e-commerce market is growing rapidly, online retailers should embrace the fact that, the average online shopping cart abandonment rate is 68.81%. For first-time website visitors, the rate is shockingly high–99%–with the truth that 75% of them who abandon indeed intended to make purchases. You may question, why they still leave? According to UPS’s research, 54% of U.S. online visitors abandoned their shopping carts as the shipping costs made the total purchase cost more than expected. 50% of them said that they didn’t make the purchase immediately because they wanted to get an idea of the total cost with shipping to compare against other sites. Also, 44% of the visitors left because their order values weren’t large enough to qualify for free shipping. Another statistic also shows that 35.7% of the e-commerce abandonment happen when shoppers see the shipping costs. This shows how price-sensitive online shoppers could be especially when it comes to shipping cost that doesn’t add any value to consumers. Therefore, failure of providing free shipping option could potentially lead to a higher rate of e-commerce abandonment. Based on Statista, 25% of online shoppers abandoned the cart when the website navigation was too complicated; 21% abandon when the process was taking too long. In the whole navigation process, the check-out stage is the most critical part and meanwhile, impacts severely on the e-commerce abandonment. Research indicates that 46.1% of cart abandonments occur at the payment stage. In addition, 37.4% occur at the checkout log in. That’s why a seamless process, particularly at the stage of payment is very significant to intrigue customers to make immediate purchases with a pleasant navigation experience. Suppose that the online retailers have made everything perfect to enhance shoppers’ experience, will all the visitors press the buy button? The answer is NO. 49% of online visitor stated that they abandoned the shopping cart because they were not ready to purchase but just wanted to save the cart for later. It’s understandable that consumers need more time to make the purchasing decision due to various reasons, such as needing to consult with significant others or with insufficient budgets to buy now. What online retailers could actually do is to actively follow up with the consumers—by researching on the reasons behind their cart abandonment and reminding them to buy—via display ad retargeting, email remarketing or other channels. This facilitates online retailers to gradually earn customers back and convert their interests into sales. Online shopping cart abandonment is unavoidable but can be continuously improved. The fundamental solution for online retailers is to completely understand different customers’ needs when visiting the websites, improve the causes that prevent customers from buying immediately, and finally to attract these customers back with solutions. On December 5th, Amazon made a revolutionary change in its grocery business—Amazon Go—and on customers’ experience of future grocery shopping. Amazon Go allows customers to self-serve during the whole grocery shopping journey. Only three actions should be taken by the grocery shoppers: (1) scan the Amazon Go’s mobile App code connected with credit card information while entering the store, (2) pick up the grocery products, and (3) leave the store directly without having to wait for the long checkout lines. To battle in the wars of the transformative grocery business, Walmart also launched a new store format, Walmart Pick-Up and Fuel recently, offering free and same-day pick up of online grocery orders as well as fuel services to customers. With sharp growing types of grocery stores invented, traditional stores are now facing immediate threats of reducing market shares by missing out consumers’ current and potential expectations of their grocery shopping. Observing the progressions of the grocery business, convenience is what customers aim for and what fundamentally changes the industry. For instance, e-commerce and same-day delivery enable customers to place grocery orders without geographical and time constraints. In addition, self-service stores with integrated IoT (Internet of Things) applications, like Amazon Go, allows customers to save time waiting in a long line while still being able to enjoy the in-store shopping. Moreover, the online order-offline pick-up stores, such as Walmart Pick-Up and Fuel, satisfy customers by having them easily check the grocery orders and fuel up their cars at the same time. Thus, there is no doubt that traditional grocery stores should think about how to keep competitive in the market without providing the incentives of convenience that makes customers’ lives easier. Retain customer shopping data. What else differentiates innovative grocery business from traditional brick-and-mortar stores? Big data! It is true that traditional stores can still collect data in stores (e.g. what’s shoppers’ purchasing behaviors and which aisle is most popular, etc.) However, you cannot imagine how huge and precise the data could be collected by Amazon when the company is capable of tracing the customers’ navigation on the e-commerce website and available to identify in-store shoppers’ behaviors with cameras, sensors, and microphones that institute the whole Amazon Go experience. Once the stores can gather a larger and more precise data set about the customers, the stores can own better understandings about their customers. It then gives the store a solid foundation to provide more customized business solutions, such as giving specific coupons to a certain group of customers based on their current and previous purchases. The emerging and disruptive innovative business models are increasing which translate into a message: grocery stores will likely to face more and more non-traditional competitors. For instance, meal kit delivery services (e.g. Blue Apron, Plated) attract customers to subscribe and receive organized groceries for an easier cooking. Consumer packaged goods (CPG) companies also plan to take the initiative of its e-commerce business. Take Mondelez as an example. The company used to sell its products through physical retailers and online retailers like Amazon. However, to sell a unique holiday version of Oreo snacks, Mondelez is going to handle the whole e-commerce and delivery logistics by itself. It’s promising to see how grocery shopping experience innovates to positively improve grocery business’ profits. However, before making a revolutionary step forward, consider which inventive strategy will best fit your business based on your resource constraints and customers’ needs.